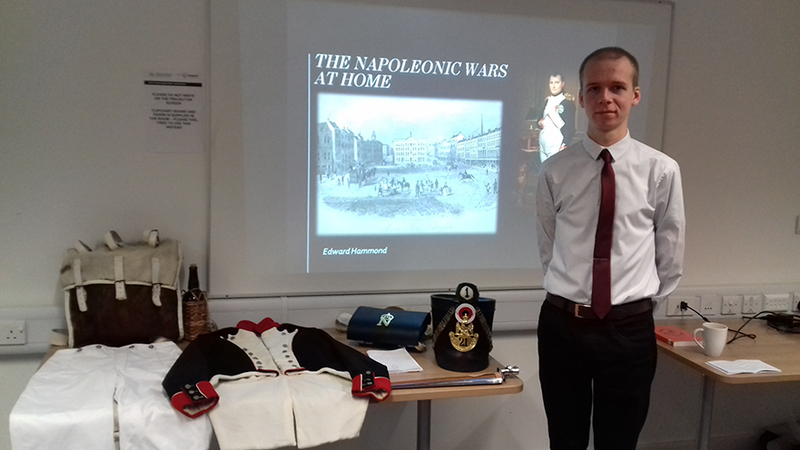 Final year BA (Hons) History student Edward Hammond has recently presented a talk for Nottinghamshire Archives, titled “The Napoleonic Wars at Home”. The talk was presented on behalf of Friends of Nottinghamshire Archives (FONA), of which Edward is a member. This was his inaugural lecture to FONA, having attended several of their events in the last year and being keen to contribute his own research. The lecture focused on the lives of specific individuals in Nottinghamshire from different backgrounds, exploring how the Napoleonic Wars affected their lives. The talk focused on the Luddite uprisings and the Pentrich Revolution of 1817, placing these events in their historical context of the Napoleonic Wars. The effects on working people’s lives included economic hardship as well as political influences in the form of French revolutionary ideals. Edward has a personal interest in the topic, as one of the individuals he has researched happens to be his great grandfather five times removed. FONA were also able to display a Napoleonic French infantryman’s uniform, which Edward himself uses in re-enactments in his spare time. Nottinghamshire Archives is a part of Inspire, an innovative cultural organisation launched by Nottingham County Council. The organisation preserve more than four million unique historic documents, some of which are older than the Magna Carta. These can be used for academic research, to investigate family history or discover the heritage of a community. The Friends of Nottinghamshire Archives (FONA) seeks to promote and support the work of Nottinghamshire Archives in preserving the rich heritage of the county. Edward Hammond at his lecture "The Napoleonic Wars at Home"
Edward hopes to continue his academic study after finishing his undergraduate History studies, and sees this as a great step towards his future career. He told us: "The chance to deliver a public presentation about one of my favourite periods in history is in itself one of the most exciting opportunities that I've been faced with. 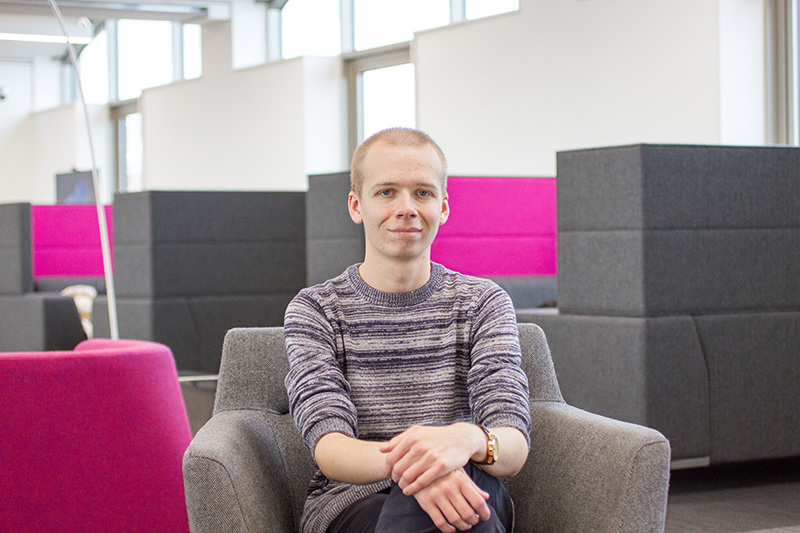 I am able to share my passion by showcasing the research and hard work that I've put in over the past few months outside of University, and the ability to disseminate this research to a much wider audience, including my own lecturers, will hopefully give me a head start to a successful academic career."